It's cold and rainy, but the leaves are falling here in the Midwest, which means winter is coming! (See what I did there?) If you're trying to find something fun, educational, and - most importantly - indoors to do with your kids this fall, consider checking out LEGOLAND Discovery Center in Kansas City. 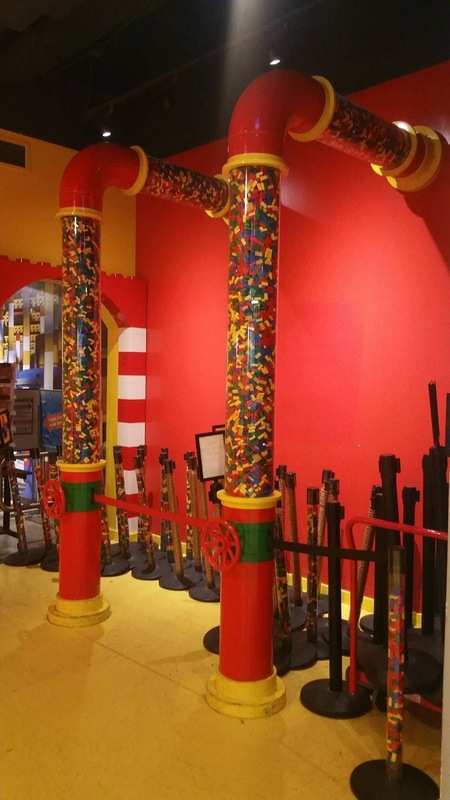 Conveniently located at Crown Center, Legoland offers an interactive adventure you and your kids are sure to love. It's been a few years since I last visited Crown Center, but it was easy to find and parking was a breeze. There's a convenient underground parking that's really easy to use. Best of all, it's only about a two minute walk from the Blue parking level to Legoland. Note that you'll need to save your parking receipt. You can have it validated at Legoland, which means you can park for free for several hours! Make sure to check your validation slip to see whether you qualified for three or six free hours of parking. You'll need both your parking receipt and your validation slip in order to get out of the parking lot. Once we parked, finding Legoland was very easy, and check-in was a breeze. You can buy tickets to both Legoland and Sea Life at the same desk, which is super convenient. The staff members were all incredibly helpful and could answer all of my questions. They took three family photos for us, gave us directions and information about current exhibits, and then sent us on our way. LegoLand is really fun to access. 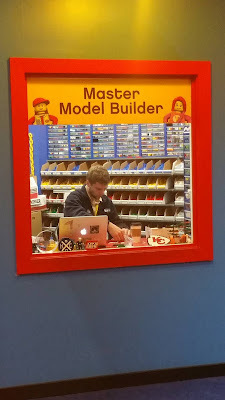 You'll take a Lego elevator up to the second floor, where you'll have the chance to learn from a REAL master builder. If your kids love The Lego Movie like mine do, they'll be excited to see a real master builder hard at work. Even cooler? They'll get to design and create their own projects! Each of my kids immediately got to work on their Lego projects. 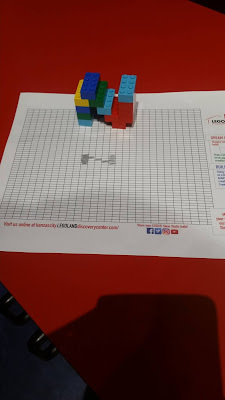 There's an instructional video that shows how to use the special Lego Builder graphing paper, along with plenty of pencils. One of my kids designed a complicated Lego project he wanted to work on at home, but the other designed a small N. When he was finished, we went over to an area filled with Lego bricks and he got to design his own N based on the drawing he'd done. There are plenty of projects on display to give kids extra ideas. 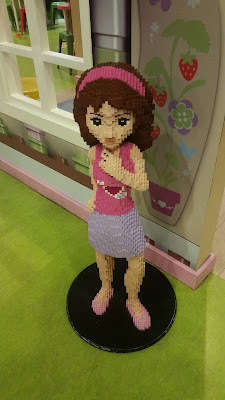 While the Lego projects aren't designed to be taken home, your kids can leave their finished Lego project to show other kids who come through that day! There's a special display shelf just for kid-made projects. After working on creating some fantastic projects, we kept going through LegoLand. The next portion of the center was really fun: rides! 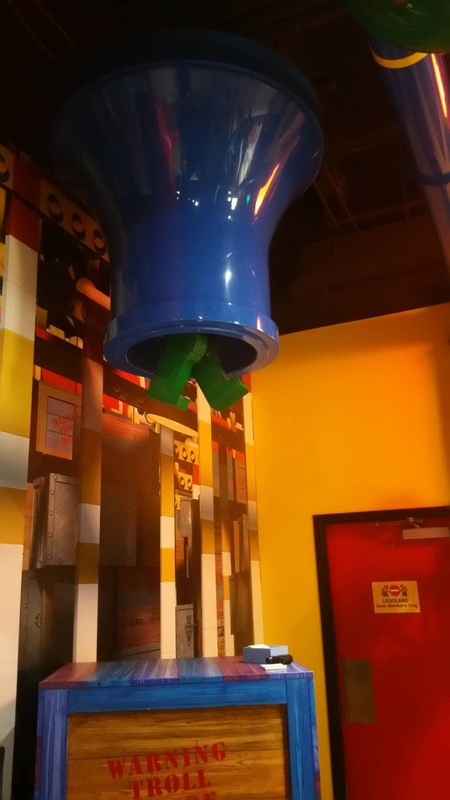 There are two rides at the Kansas City Legoland Discovery Center. Both parents and children can go on these rides. The captured Princess needs your help! Hop aboard your chariot on the Kingdom Quest ride to rescue her. Be warned, there are beastly trolls and sneaky skeletons lurking. Can you zap them all to save the Princess? As you can guess, Kingdom Quest is definitely a ride, but it's an interactive one. Each rider will have a laser gun they can use to shoot bad guys and Lego monsters (things like skeletons - nothing too scary!). The person who shoots the most monsters wins! 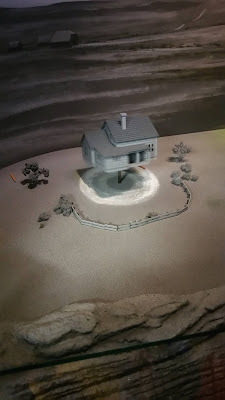 There was also an entire Lego room full of models of Kansas City, which was incredible to see. My personal favorite was the Wizard of Oz themed section. Inside tip: press the buttons to see your favorite movie scenes come to life! We had a fantastic time at LegoLand Discovery Center Kansas City and will definitely visit again. My boys are already asking when we can go back and build things again. If you're ready to play your trip, check out the LegoLand Discovery Kansas City website for current times and ticket information. Have you ever been to Legoland? What did you think? Leave me a comment and let me know! Please note: I was provided tickets to LegoLand in exchange for a fair and honest review. Pictures and opinions expressed are my own.